FRESHER FOOD, A BOOST TO THE LOCAL economy and more open space are just a few of the reasons why a local food system is important, but like any system, there are a lot of moving parts that need to come together to make it successful and sustainable. In Montana, agriculture remains the largest industry, made up mostly of cattle, wheat, barley, hay and sugar beets. Every year Montanans purchase more than $4 billion in food, yet only 10 percent of that is produced in the state where we live. In response, many growers, ranchers, nonprofit organizations and consumers have been dedicated to changing that by creating a local food system that will last for future generations. Although there are many, here’s a look at some of the Treasure State’s influential food pioneers. In a bustling conference room at a Bozeman hotel, a bell rings signaling the start of the first round of a “speed dating” event. A cowboy-hat-and-boot-clad rancher takes a seat next to a woman and starts chatting her up. But instead of touting his own good attributes, he’s explaining the intricacies of his business, Yellowstone Grassfed Beef. This is part of the annual Commerce Day event, hosted by the Livingston-based Western Sustainability Exchange (WSE). WSE has developed a certification system that includes training and specific criteria for farmers and ranchers. Once certified, WSE helps to connect them to local buyers through Commerce Day events, farmers’ markets and a farm to restaurant connection program, among other things. Like the story of “The Little Engine That Could,” with enough motivation and momentum, lofty ideas can turn into colossal achievements. 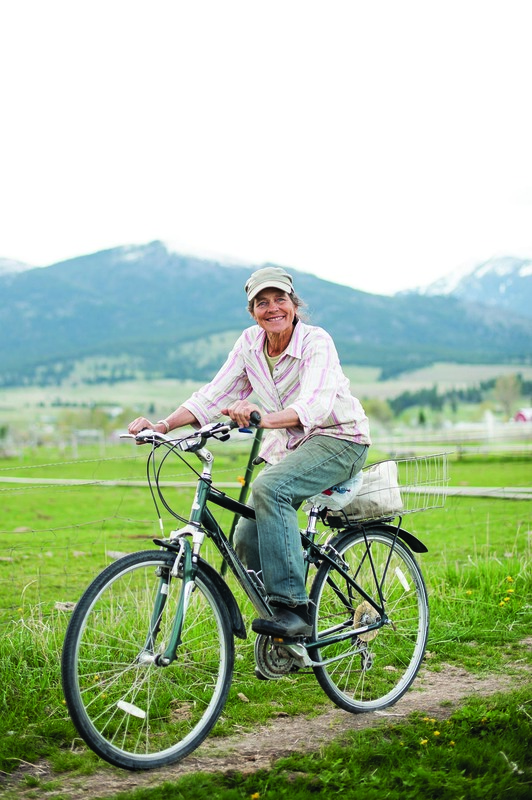 Thirty-five years ago, the Bozeman Community Food Co-op (then Crossroads Food Center) started out in a wee little house, where a handful of volunteers would toss around ideas about healthy food and a healthy community. 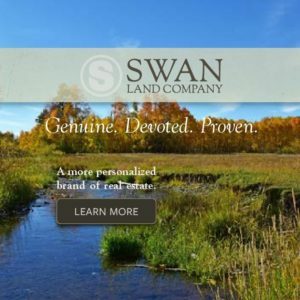 Today, it’s the largest natural foods cooperative in Montana, with over 22,000 member-owners and two locations: a modern flagship store and a downtown shop. Those ideas turned into programs like the Farm to Food Bank, in which the Co-op purchases food from local growers and donates it to area food banks, and 4 percent day grants, in which 4 percent of that day’s sales go to local food producers and other organizations. In 2012, they doubled their local food purchases, buying 20 tons of vegetables and meat for their prepared food department alone and much more for their grocery aisles. Dean Folkvord, owner of Wheat Montana, clearly remembers selling bags of freshly ground flour at a roadside stand near Three Forks to supplement the farm that his father started in 1958. He remembers the hard work and money that was put into the first Wheat Montana bakery. Now with a $32-million-a-year, 200-employee operation, Folkvord realizes that much of his success lies in the fact that he found ways to turn his crops into food, inadvertently creating a model for successful agriculture in Montana. Imagine if you were a chef, and every day different farmers knocked on your door to sell you a specific product. Imagine if you were a farmer, and you had to peddle your product to all the different chefs. In both scenarios, neither person would have enough time to do what they do best: cook and grow. Through a “community food systems” grant provided by Lake County Community Development in 2002, farmers throughout Flathead, Jocko, Mission and Bitterroot valleys joined together to change that system, creating a distribution model that offers a variety of products to a variety of buyers. Called the Western Montana Growers Cooperative, they’ve gone from eight founding members to 40, supplying restaurants, the University of Montana, public schools, hospitals and homes, with annual sales exceeding $1 million. Now, a produce manager or chef can access products from 40 farms through one phone call, the food producers can concentrate on producing more to fill the orders and local communities can enjoy an abundance of local food. 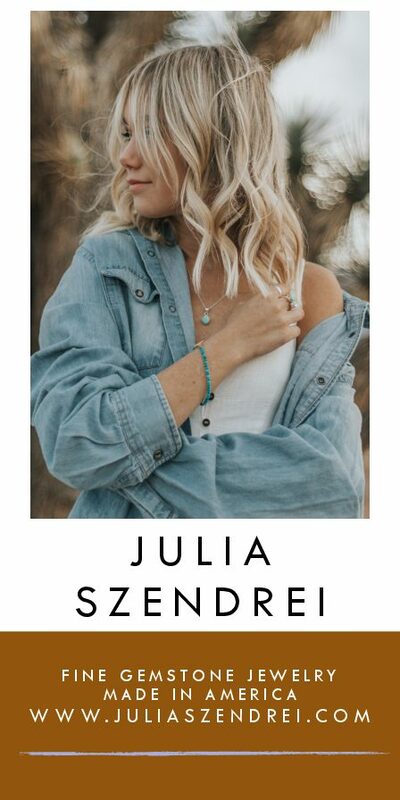 But ever since the organic and local food movement took hold in Montana, Timeless products have become a staple on the shelves of many food retailers and chefs, including their bestselling black beluga, french green, and crimson lentils and their purple prairie barley. Bozeman farmer Dean Williamson, Livingston farmer Mark Rehder and former Bozeman Community Food Co-op’s central kitchen manager, Christina Waller, have recently formed Root Cellar Foods, a produce processing facility with equipment that can churn out washed salad greens, peeled and cubed or shredded produce to be distributed “recipe-ready” directly to area restaurants and food institutions from Butte to Billings. Some restaurants could go through thousands of pounds of locally grown produce, but it would take months to peel and chop them all by hand. Root Cellar Foods can process up to 1,000 pounds per day and wash 500 pounds of lettuce greens in an hour. They have equipment to freeze produce and preserve some of the season’s bounty for food services to use throughout the winter months. Also be on the lookout for prepared soups, pesto and sauces made from local foods and sold through southwest Montana retailers. “We hope to create a more stable economy for existing farmers, a better market for new farmers, and to level out the seasonality issues,” Williamson says. 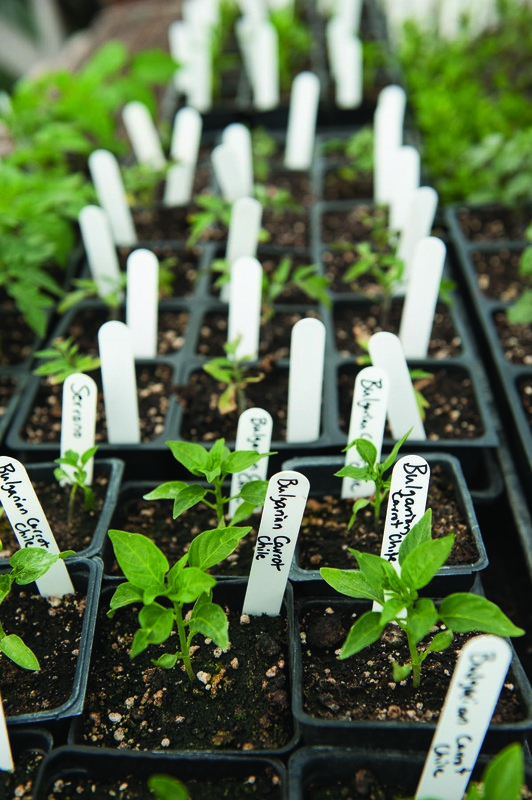 Bulgarian carrot chili peppers get an early start in the greenhouse at Clark Fork Organics in Missoula, Mont. 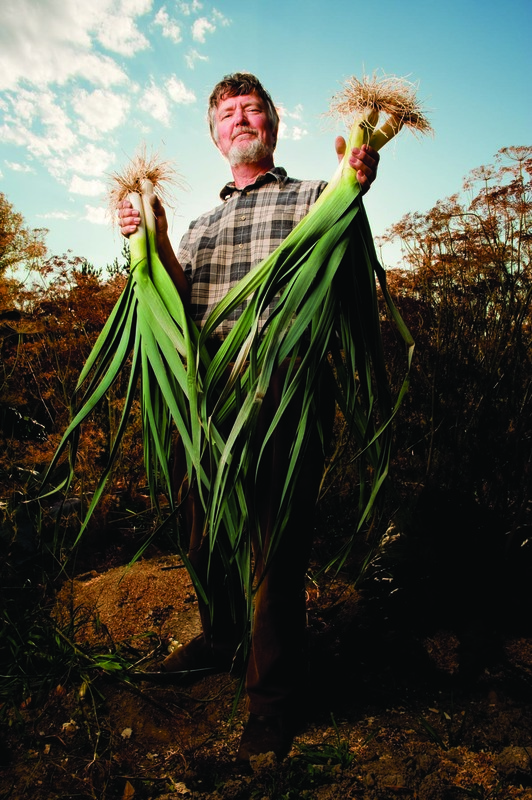 Joel Ellefson grows organic vegetables for the Bozeman Community Food Co-op at his small farm in Manhattan, Mont. 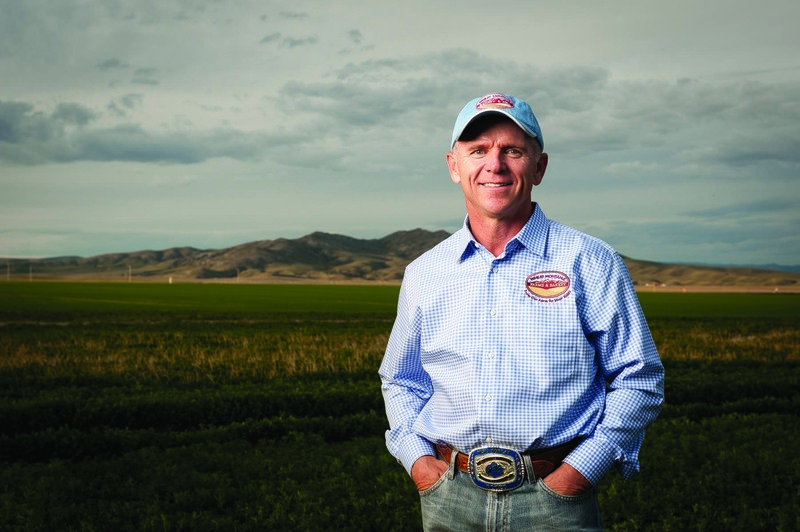 Championing Montana’s early farm to table movement with his family’s wheat operation, Dean Folkvord’s business delivers fresh-baked bread to nearly every food store in the state. Lucy Breiger rides her bike home from the fields after a day of planting onions. Lucy, along with her husband Steve Elliot, own Lifeline Farm Produce in Victor, Mont. They are members of the Western Montana Growers Cooperative. 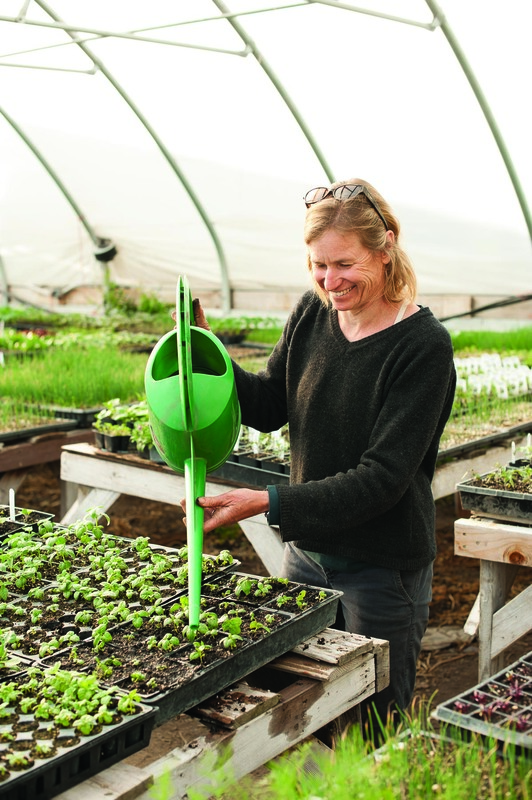 Kim Murchison waters her basil starts in the greenhouse of Clark Fork Organics, Missoula, Mont. 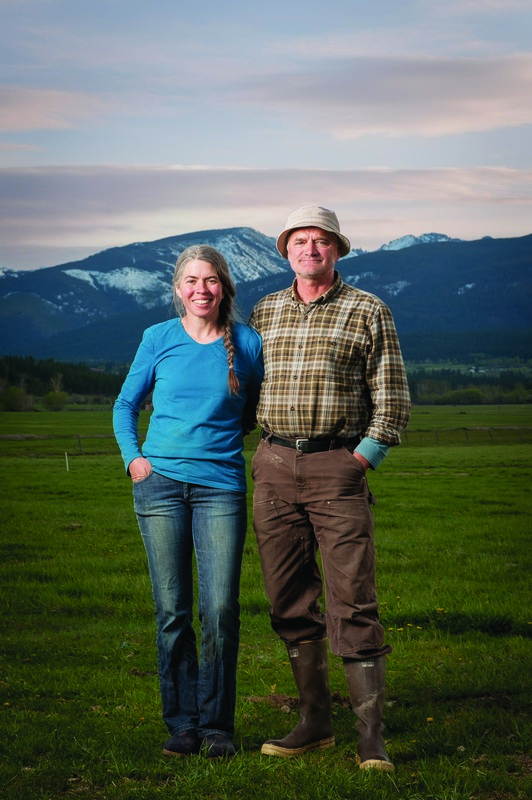 Kim and her husband Josh Slotnick have been farming in the Missoula valley since 1992. They sell their produce at the Missoula Farmers’ Market, at local retailers in Missoula and via through the Western Montana Grower’s Cooperative. Jen and Ernie Harvey raise organic, biodynamic milk, cheese, beef, pork and sausage at Lifeline Dairy, Victor, Mont. 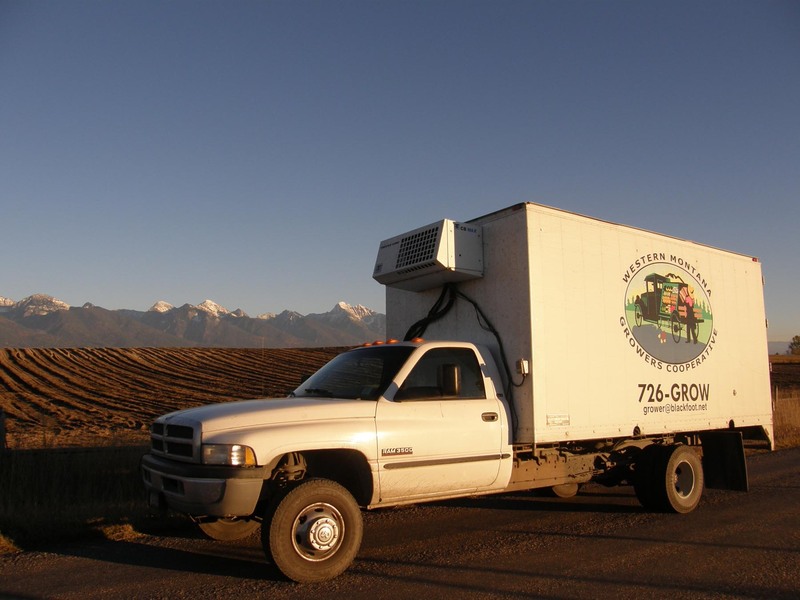 They are members of the Western Montana Growers Cooperative. 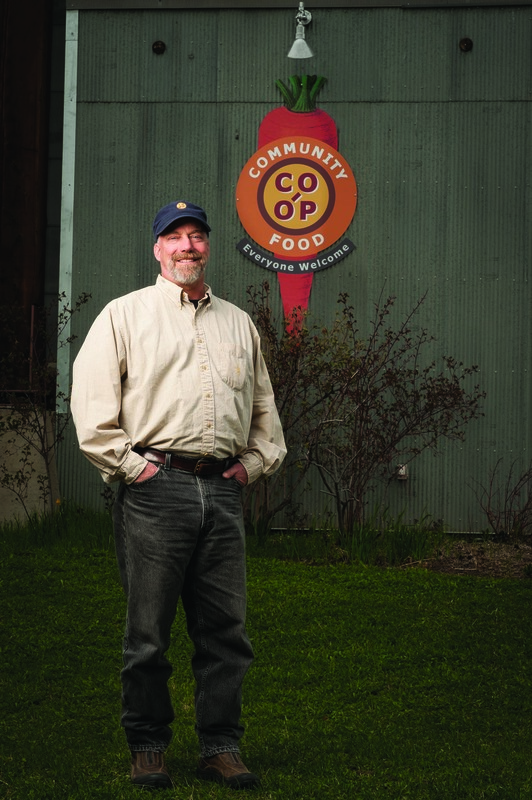 Bozeman Community Food Co-op’s general manager Kelly Dean has forwarded the natural and local food movement since 1989. 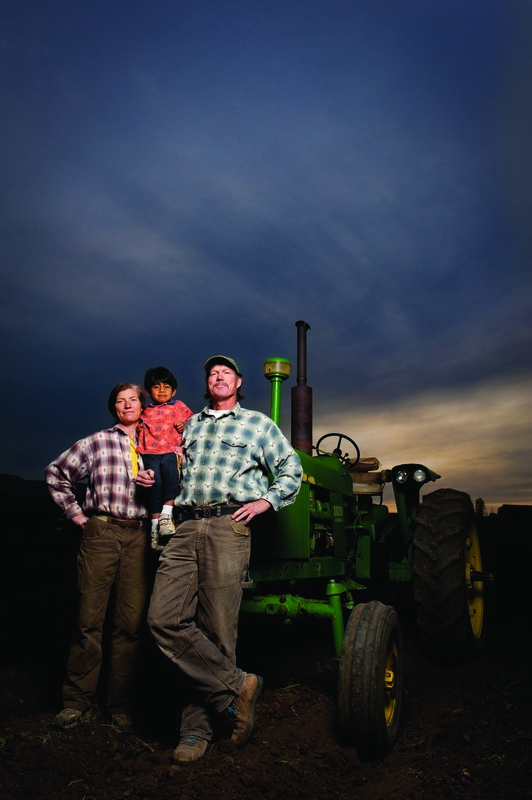 Farmers Caroline and Mark Rehder (pictured with their son Zac) teamed up with fellow producer Dean Williamson to create Root Cellar Foods, a produce processing plant that will deliver “recipe-ready” foods to local restaurants.